The animal kingdom is massive, but scientists know that they have only found a portion of its members. They are currently aware of about 2.3 million species—but that number increases by about 15,000 new additions per year, according to some estimates. Researchers from 12 institutions in the US collaborated for years to document and quantify all of these animals, and created a comprehensive diagram to illustrate each known species and its evolutionary relationship to one another. Their work was published (paywall) last year in the Proceedings of the National Academy of Sciences. As scientists identify more unique species,“we expect the circle to broaden,” Karen Cranston, a computational evolutionary biologist at Duke University and co-creator of the project, told Scientific American, which created its own version of the chart to help readers understand its breakdown. With biodiversity loss taking place at an alarming rate , having this accessible categorization could help researchers better quantify the pace at which species are becoming extinct. 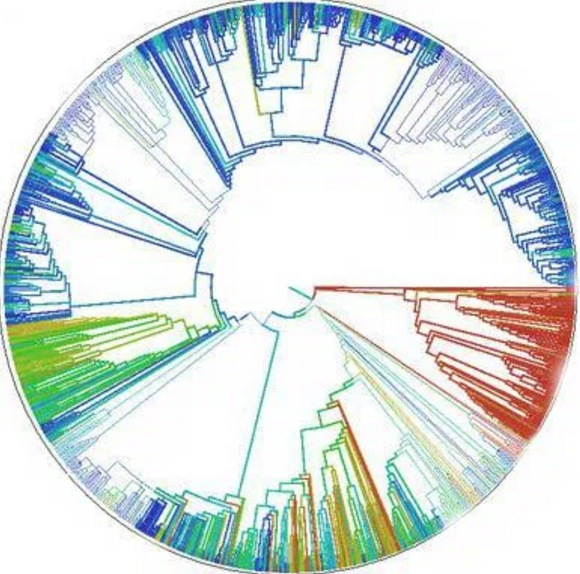 The Open Tree of Life project provides a space for anyone to propose updates or suggestions, which should theoretically increase the size of the available species database. Researchers hope that this graphic display of the circle of life will help ecologists and biologists understand the effects of climate change, conservation efforts, agriculture, and other human-mitigated processes on the animal kingdom.